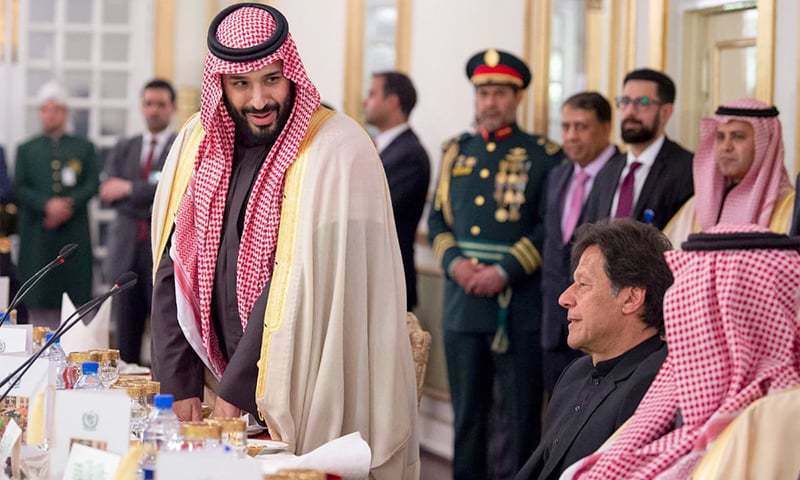 Srinagar: During the high-profile summit, Saudi Arabia has vowed to “de-escalate” rising tensions between Pakistan and India, the Express Tribune Newspaper reporter. “Our objective is to try to de-escalate tensions between the two countries, neighboring countries, and to see if there is a path forward to resolving those differences peacefully,” said Saudi Foreign minister Adel bin Ahmed Al-Jubeir while holding a presser along with his Pakistani counterpart in Islamabad. The pledge came as the crown prince prepared to head for India later Monday, at the conclusion of his two-day visit to Islamabad, the Express tribune added. The Saudi foreign minister said that his country wanted to see both India and Pakistan resolve their conflicts and have peaceful relations. Saudi Crown prince, Mohammad Bin Salman, is currently in Pakistani where he had signed business deals worth 20 billion dollars with Pakistan.